Home Central building supplies store carries an extensive line of housewares and cleaning supplies. Caring for your home involves more than just repairs and remodeling, it means constant cleaning and we know our customers take pride in maintaining a safe and welcoming home environment. From air fresheners to squeegees, we offer a wide selection of household cleaning and maintenance products. 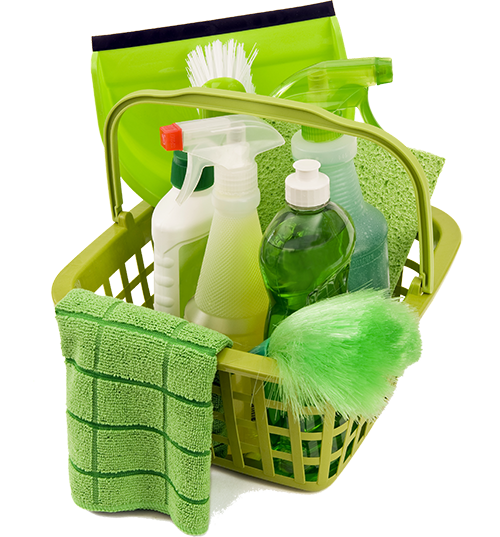 We carry major name brands and convenient budget friendly gallon jugs of household cleaning solutions. Gone are the days of a department store in every small town. We recognize this loss of convenience, and strive to make your life a little easier by stocking products like toilet cleaner and paper towels. Why make another stop when you could pick up Windex while you shop for molding? Whether you are helping your teen pack for college or polishing your silverware, we have items for every project in your life and knowledgeable staff who understand the products they sell. Seasonally your needs change, so we offer items you want, when you want them. Trying to save money by stockpiling your garden’s bounty? We stock loads of canning supplies; jars, lids, pressure cookers, seals and even freezer paper. The holidays are a time to showcase your home and that’s why we keep up with some of the hottest trends in home décor. Why waste time running to a big department store when you could shop local? Come in and browse our extensive housewares and cleaning department and you will keep coming back for the convenience and competitive prices! 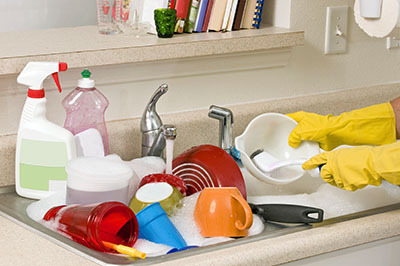 Household cleaners, laundry detergent, dryer sheets and dish soap. Brooms, dust pans, sponges, scrub pads and squeegees. Buckets, mops, dusters and polishers. Trash cans, bags, step stools and storage totes. Canning jars, lids, pressure cookers and canners. Pots, pans, knives and baking supplies. Thermometers, mouse traps, shelf liners and holiday décor items. Your Local Home Improvement & Building Supplies Store with locations in Vestal, Owego, and Candor, NY. Currently accepting applications for full and part-time retail sales associates. See our Employment Opportunities page for more information. This allows you to test out a paint color before you buy it. The kit costs $7.00, but includes a $7.00 off a gallon of paint coupon. To make things even sweeter, it also includes $50.00 worth of coupons on everyday paint supplies. Stop in today for yours! Sign up today and receive a coupon for $5.00 off your next purchase. For Newsletters, Coupons and Special offers direct to your email. All advertised pricing by Home Central is subject to change. Some limitations may apply. See store for current promotion details. Any pricing in one of our stores at the time of purchase supersedes all advertised pricing, or pricing appearing in any photo, video or illustration found on the website, social media, etc. Specials or discounted advertised prices cannot be combined with any other promotions, coupons, or sales. No promotions, coupons, or sale discounts may be used or in any way applied towards the purchase of gift cards. Special promotions, coupons, or sales may not be applied to clearance items. Commodities are exempt from use with any promotion, coupon, or sale and are subject to market conditions affecting pricing and availability.